Islamabad: The National Institute of Folk and Traditional Heritage, one of the premier cultural organizations of the country, has taken a number of initiatives to promote cultural diversity, especially the rich heritage and folk of backward and neglected areas. This was said by Executive Director Dr Fauzia Saeed while briefing a delegation of writers, poets and artists from Balochistan who visited Lok Virsa on Tuesday. 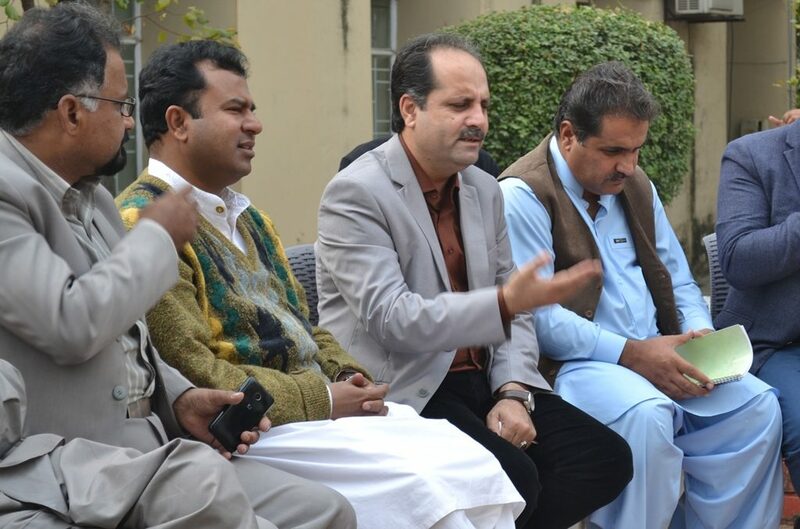 The 17-member delegation was comprised of writers and artists of Baloch, Pushto, Brahvi and Hazargi languages as well as officials from the cultural department of Balochistan. Their visit to Islamabad was arranged by Sayad, a non-government organization. They discussed issues related to promotion of art and culture of Balochistan with Dr Saeed. 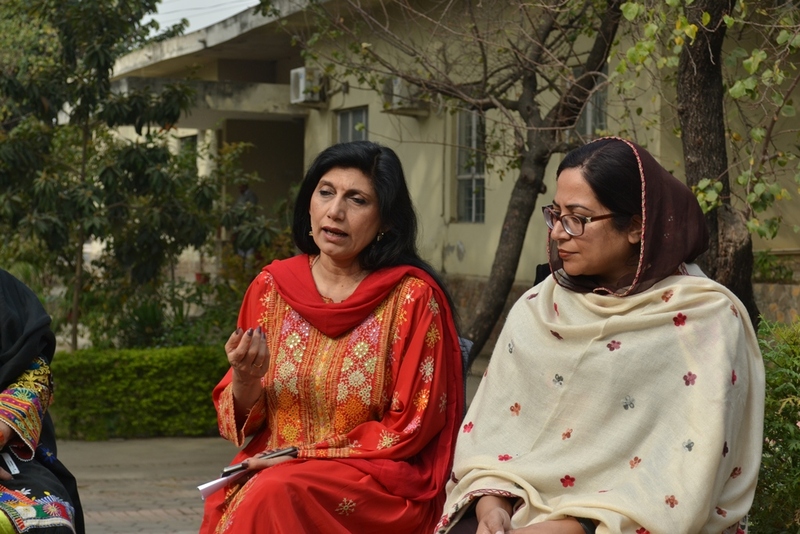 Lok Virsa head briefed them about the various initiatives taken by her organization during the last three years in promoting cultural diversity, especially the folk music and languages spoken in Balochistan, Khyber-Pakhtunkhwa, Sindh, Punjab, Gilgit-Baltistan (GB) and Azad Kashmir (AJK). She specifically mentioned the setting up of a young performers’ group of Lok Virsa who performed at the Faiz Aman Mela two days ago in Lahore, receiving plaudit from the audience. Children from Balochistan were also part of the troupe. 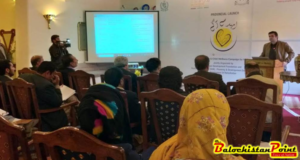 She said that Lok Virsa has started networking of cultural organizations of all provinces, GB and AJK under the project “Autaq” in order to bring them closer to understand each others’ culture and celebrate diversity. This will help creating harmony among different people and communities. She asked the delegation to get cultural organizations working in Balochistan registered with Autaq. Fauzia urged the writers and artists to play their effective role in countering terror and sectarian discord and violence in the province by organizing cultural programs. 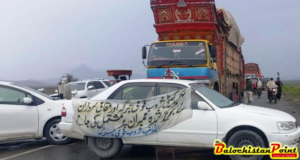 She extended her organisation’s help to them if they arrange such programmes in the province. She also informed them about the weekly screening of classic and feature films on every Saturday under its Mandwa Film Club at Lok Virsa to relive the fond memories of the people and provide them with entertainment free of cost as well as to introduce the film celebrities of yesteryears with younger generation. We have also started screening foreign feature and cultural films as well. She extended Lok Virsa’s help to the delegation if they could start such programmes in the province. CYAAD (College of Youth Activism and Development) Chief Executive Razzaq Fahim briefed Lok Virsa ED about his organization and said that it is working in 10 districts of Pakistan. 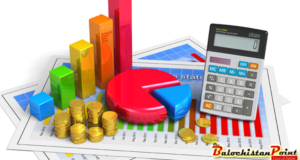 His organization is laying focus on cultural promotion besides social sector development. In this regard he mentioned the training session for youth on ceros instrument. We are also providing training to youth on guitar and Dombura. “The main objective of arranging this visit was to introduce Balochistan’s culture, artists and writers to other areas and seek help in bringing back to life the culture and literature which have been badly affected by violence and terrorism. 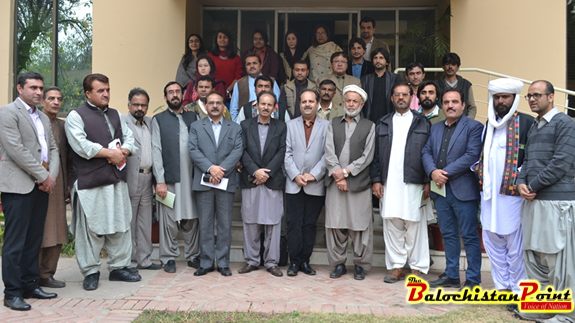 The team took round of various departments of Lok Virsa and Heritage Museum. They appreciated the initiatives and ideas of Dr Saeed in injecting fresh blood in the life of the premier cultural organization and for the promotion of cultural diversity. Dr Fauzia to participate in the youth festival being held in Balochistan next month. Lok Virsa, which is considered to be the most popular place and treasure trove of tangible and intangible art and cultural heritage of the country as well as Central and South Asia was established by the ZA Bhutto government in 1972 on the recommendation of great poet Faiz Ahmed Faiz.